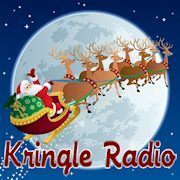 MyMerryChristmas.com is pleased to present our annual gift to the Christmas community online — free Kringle Radio. Our year-round stream of commercial-free Christmas programming is most unique. 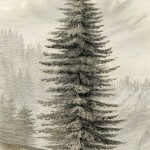 A 12-year effort has built a library of more than 5000+ Christmas songs. This isn’t the same old stuff! 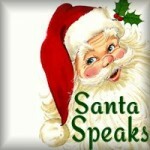 Now through Christmas you can hear it for free each time you visit MyMerryChristmas.com. The stream is controlled through the player at the bottom of the page. The stream is made available in advance special programming of Tracking Santa Around the World by North Pole Radio News, which begins December 23rd. The commercial-free Christmas music is non-stop over 50 hours of Santa’s flight, interrupted only occasionally with news of the Santa effort. This merry tradition is heard around the world by thousands. 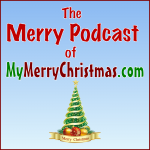 Kringle Radio is available year round via KringleRadio.com and it is a perk of premiere membership at MyMerryChristmas.com. The realities of radio licensing and royalties force us to keep it behind a pay wall in order to keep it commercial free. Once a year, for the week of Christmas and the programming of Tracking Santa Around the World, we make it free to all listeners.